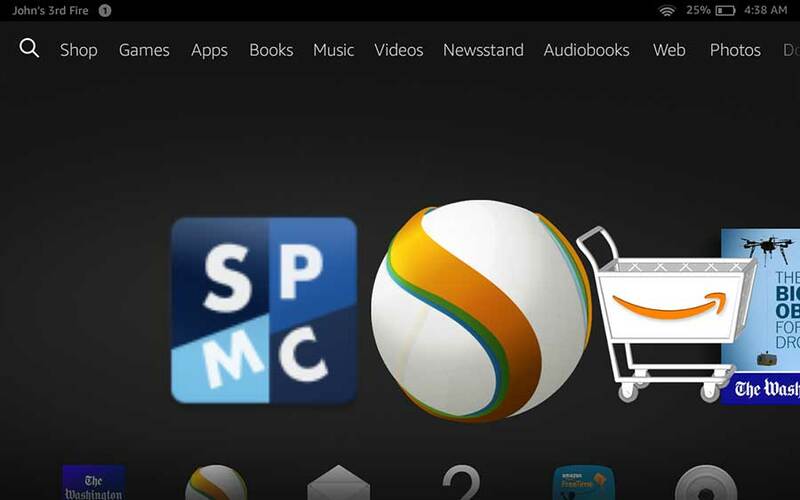 Easily hack your Amazon Fire Tablet for free movies, television, live sports and much more. With the installation of Kodi and SPMC, specifically made for tablet devices, you’ll gain free access to an unlimited supply of online video streaming. This method works perfectly for numerous Fire tablet and Fire kindle devices. Fire HD 6 Fire HD 7, Amazon’s Fire Tablet Kids Version. All Fire tablets will work with this method. 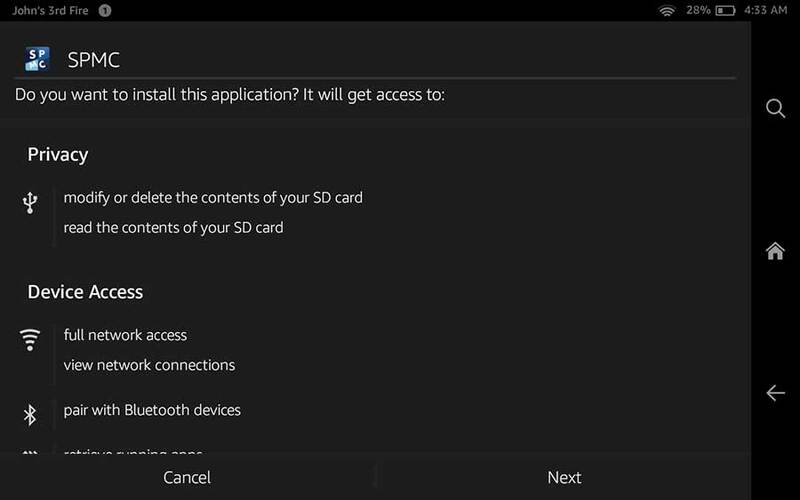 Follow our step-by-step instructions below to easily hack your Amazon Fire Tablet and install Kodi.To get started, make sure your Fire Tablet is all charged up and has wi-fi access. Now that Kodi is installed, you’re probably thinking about all of the free movies and tv you’ll be watching. Before you do, we recommend that you consider getting a VPN to hide your IP address and provide you a better streaming experience. Recent lawsuits, such as the one that took down TVaddons, have put ISP’s under fire. As a result, major internet providers like AT&T and Cox have gone on the offense of blocking their users from connecting to known streaming servers. Using a VPN prevents your ISP from identifying and blocking you. 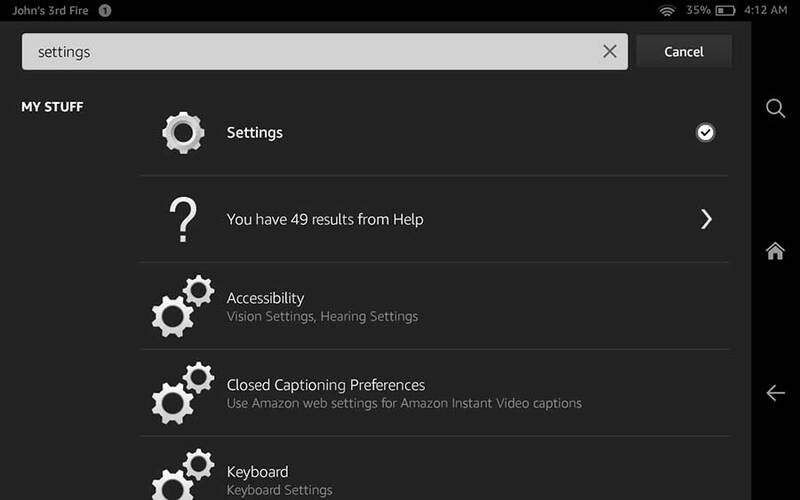 The easiest way to find your system settings is to click the magnifying glass (search function) and type “settings” in the search bar. Click on “Settings” when you see it show up in your results. 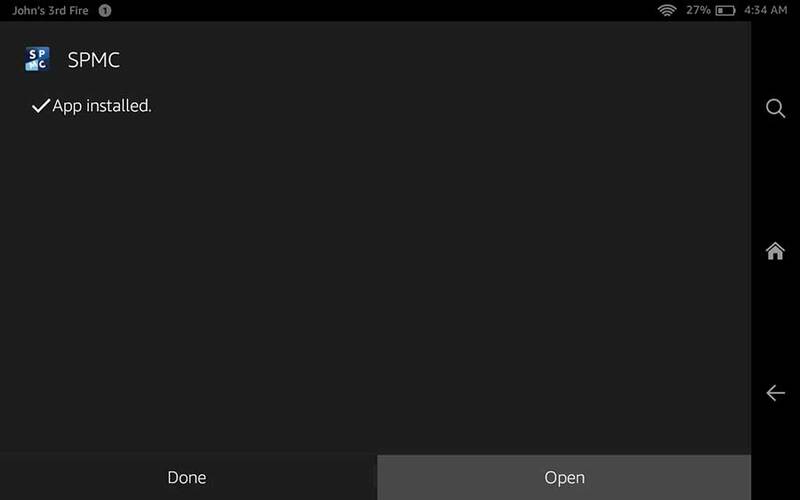 Slide the bar from off to on next to “Apps from Unkown Sources” Enabling this will let you install Kodi SPMC. 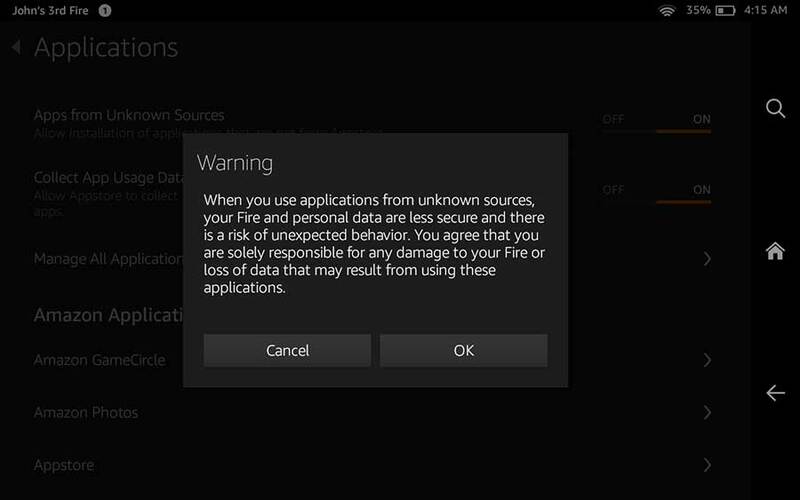 Apps from unknown Sources is now turned on. you’re done with Settings. Use your back arrow or click the Home button to go to your home screen. 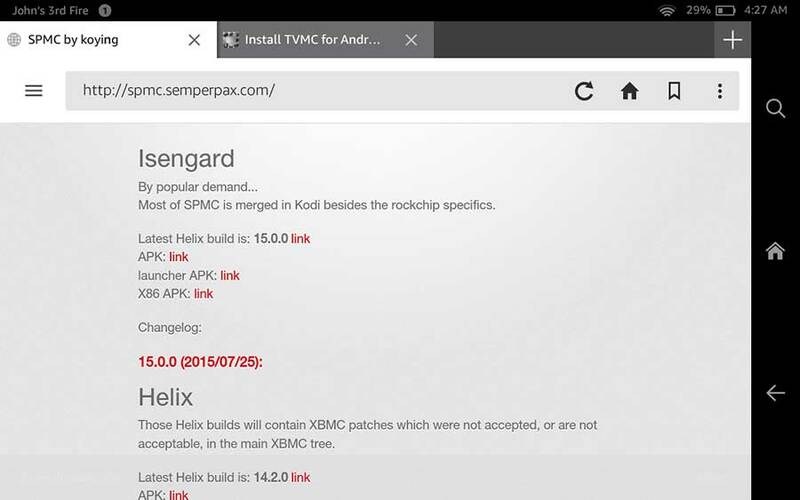 From your Silk Browser, type in http://spmc.semperpax.com when the download window opens, click on “APK: link” of the Kodi version you want to install. SPMC hasn’t released a Krypton 17 version, so the latest they have is Jarvis. You can also choose Isengard, Helix or Gotham if you want to get old school with your Kodi – XBMC. We recommend Jarvis or Isengard. 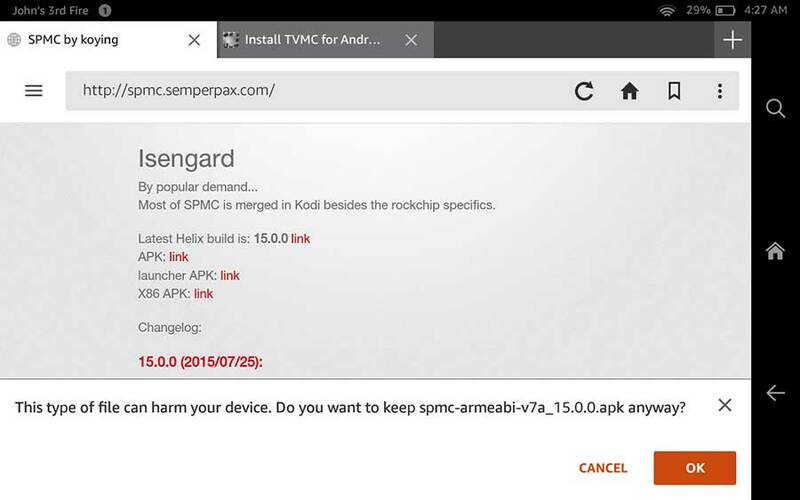 Once you click the “APK: link”, a window will appear at the bottom asking if you want to download Kodi SPMC, click OK.
Navigate to your Downloads folder by clicking the 3 stacked lines (menu) on the top left side of your browser bar. 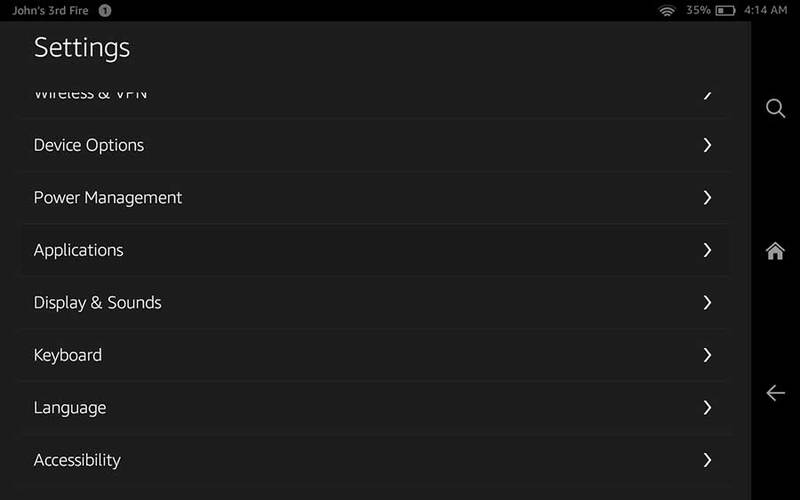 That menu will expand, click on Downloads. 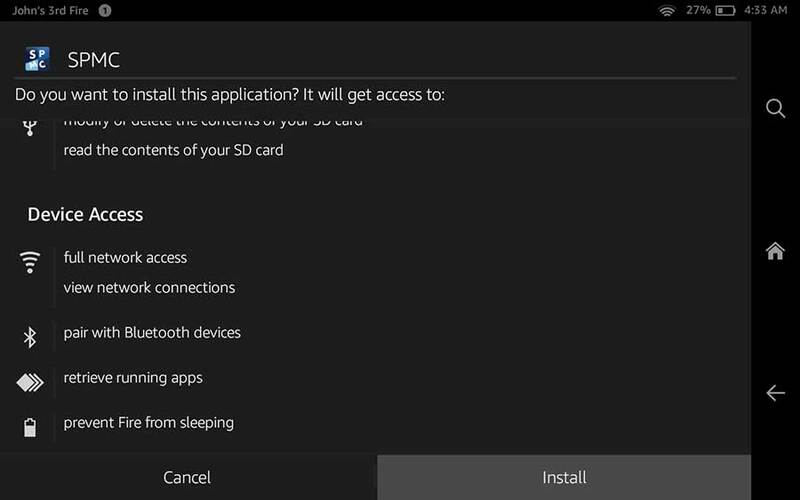 Once your installation has completed, click on the APK to launch the installation. Installation should only take a minute or so. Go ahead and install any updates you might need for better performance from your Fire when using Kodi. 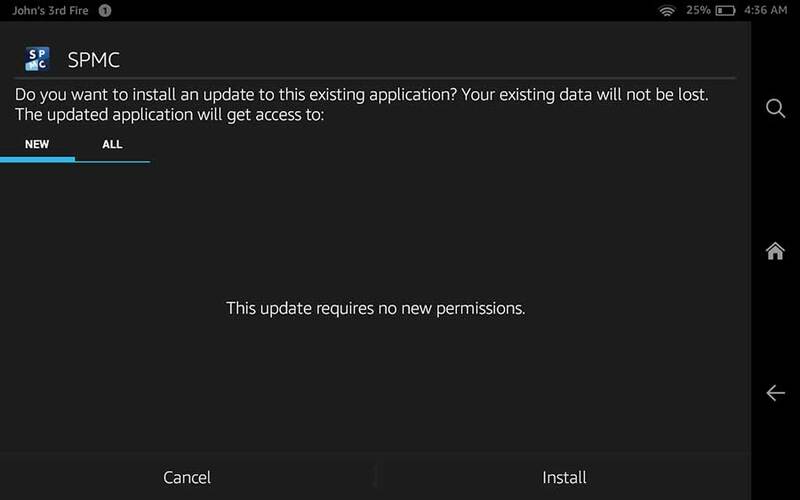 Updates usually fix any buffering issues with playback and any issues with add-ons. 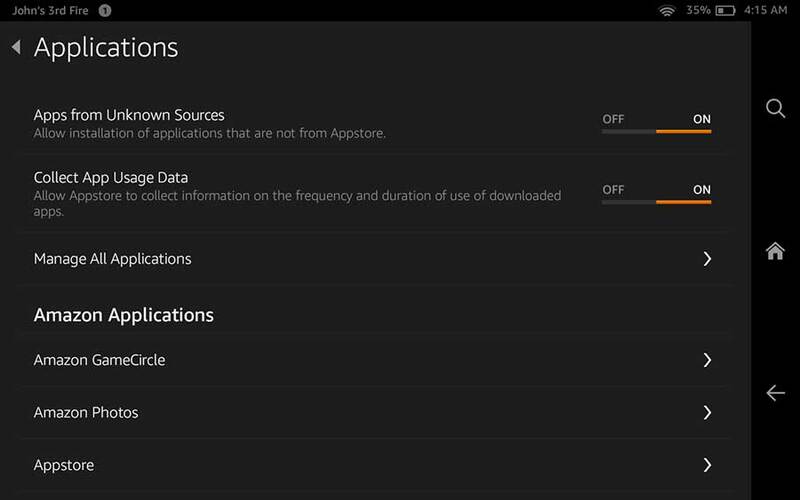 Tap your home button and navigate to the SPMC icon among your apps. Tap on SPMC for initial first run. 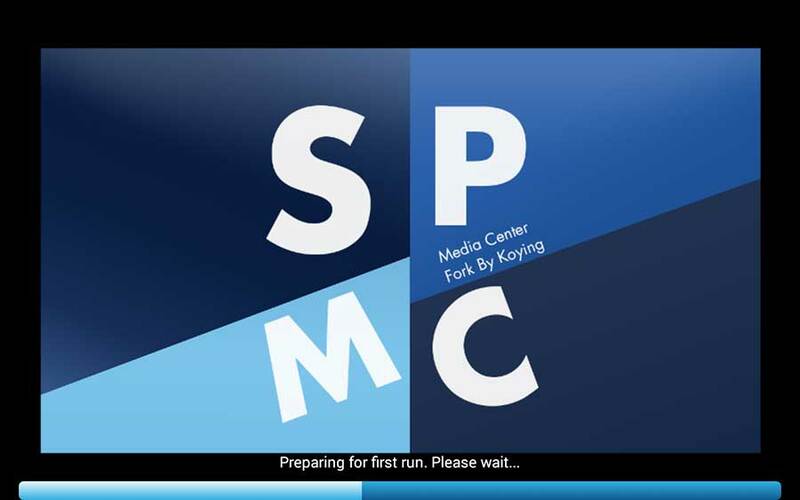 SPMC preparing first run, this may take a minute or so. Be patient. 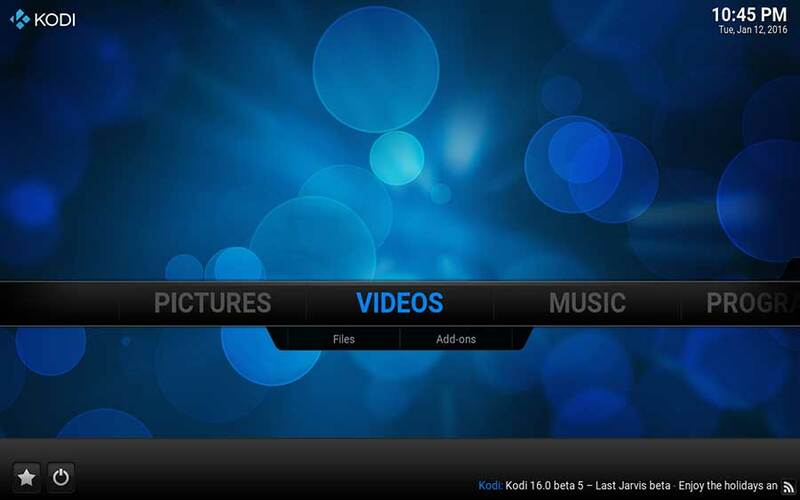 You’re ready to dive in and start exploring everything Kodi has to offer. 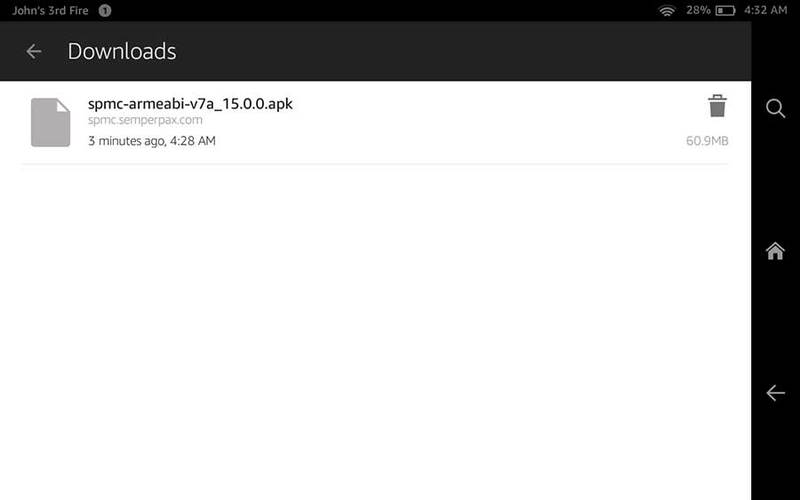 The first thing you must do is add some repository’s in your system’s file manager. This is where you’ll find access to tons of add-ons, essentially channels, for Kodi that will give you unlimited access to free movies, tv, PPV, live sports, adult entertainment and much more. 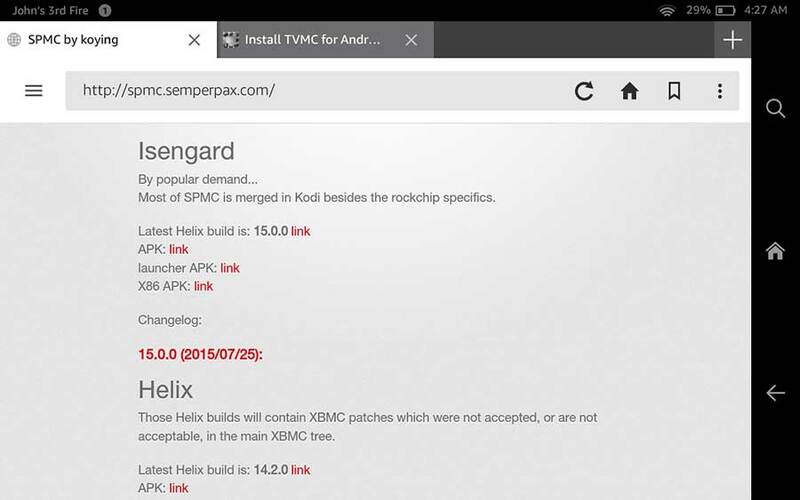 We recommend following our article on installing Ares Wizard to Kodi. It only takes a few minutes, and you’ll be watching free movies in no time! I still get parse error! have you tried the Jarvis APK? Yea none of the 2 worked for me. Parse Error. Parse error on all. Kindle 6.3.4 version. Everything worked “GREAT”! Only question I have is how can I update the Kodt version? I hate being stuck on 15.0…..
Bro good look!! !, you don’t understand the 32 other things I did that failed.. I get the Parse error like others. 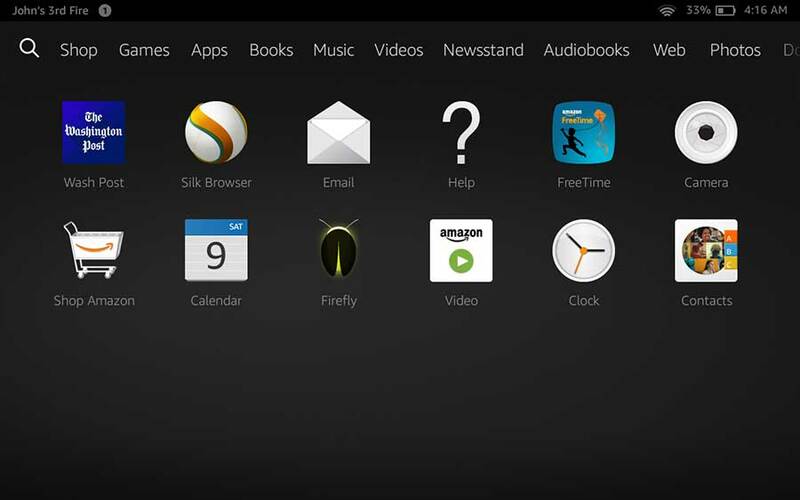 I am using a Kindle Fire HDX! Any suggestions how we get over the parse error problem? 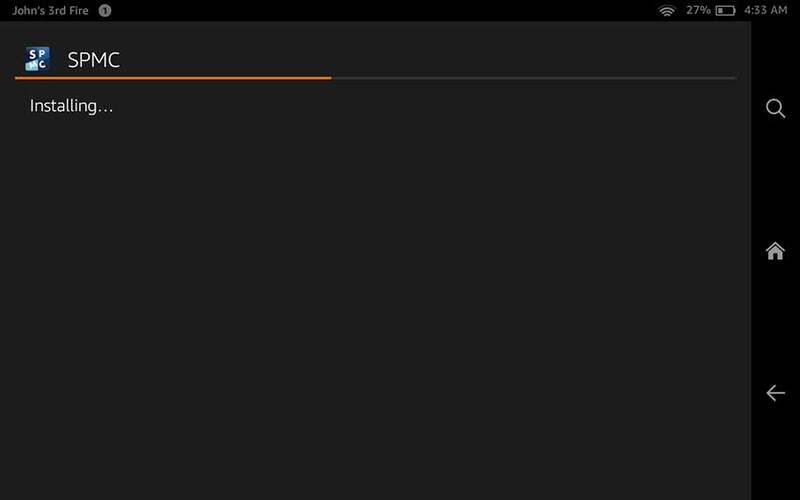 Parse Error when trying to install on Kindle Fire HDX, any suggestions how we overcome the Parse error?